Ah, the pre-order. Putting out money in advance for something in order to make sure you get it as soon as possible once it's made available. Most of us have done it, myself in included. There's certainly nothing wrong with getting really excited about an upcoming release for a game or other project you like. 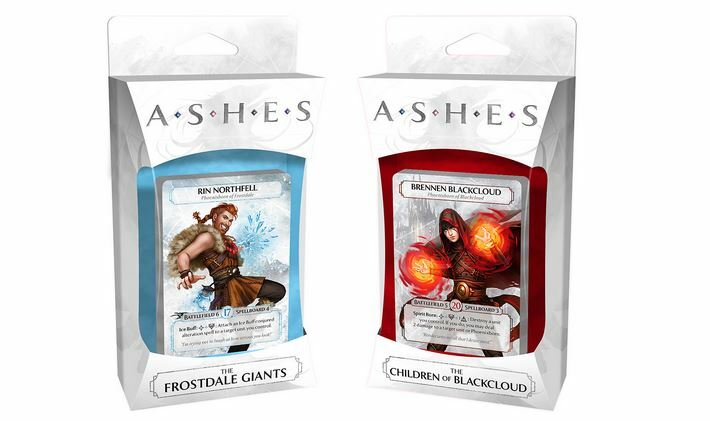 And that's why Plaid Hat Games has started taking pre-orders for the next two Ashes expansion packs. There's extra incentive for pre-ordering as well. Besides getting your name on the list to get the sets right at release, you'll also get to pick either Dimona Odinstar or Lulu Firststone, exclusive Phoenixborn for the game, to be added to your order, free. As if the cards weren't enough, there's also dice packs available in the Plaid Hat Games webshop so you can get sets to match your decks. So, for those that have been wanting to get some new cards and decks for Ashes: Rise of the Phoenixborn, now's your chance.